I completely disagree with you. As Dan Barker calls it, faith is the "Great Escape". So here we see the atheist take on faith still casting it in pejorative terms. The atheists set up their straw man definition of faith in which it is defined as "believing things without a reason. OF this is a totally inadequate definition. Where do we turn for an understanding of faith? The best place would be the Westminster's Dictionary of Christian Theology, which is the official defining source of theological concepts. Here we see the simplistic bromide "faith is believing things without reasons" just wont do. Westminster defines faith in a complex way, the article is very long and the definition is long. some translations say "evidence of things not seen. Faith is not a wild abandonment of logic, it is like faithfulness, it is a commitment to an understanding or a realization one takes as truth, and that realization can be gleaned from many sources including revelation, logic, personal experience. All of these things can be good reasons. Westminster demonstrates the commitment aspect of faith in the sense of faithfulness which is part of the definition it gives for faith. It is a confident obedient trust in the reality, in the power and love of God known through his acts, and an awaiting of their future consummation. The bible contains a variety of emphasis within this overall view. The noun 'faith' is comparatively rare in the OT where, (eg Hab 2.5) It may indicate faithfulness or loyalty to God rather than a passive reliance. But dependence upon God as distinct from human powers was imortant for Isaiah (7.9, 30.1-5). While the OT so often sees faith concertized as obedient action (Duet 6.1) the note of trust also resounds especially in the psalms. Not to lose the complexity in a simplistic short hand, but we can encapsulate the OT view of faith as "trust, faithfulness, obedience." We see that is not passage acceptance of truth claims without reasons. The definition says the trust is based upon "The power of God" and that is a reason, it may one atheists don't like but it is a darn good one. If one has experienced the power of God in one's life one need no better reason. In the Synoptic Gospels those who respond to Jesus' proclamation of the kingdom and respond to his salvific powers, are commended for their faith (Mark 2.5, 5.3) Unbelief is a hardness of heart a refusal to accept the immediacy of God's saving power (Mark 6.1). Atheists have a strong tendency to deny that belief is a choice. They seem to think that it is some conclusion one is compelled to by logic, or maybe by stupidity; although in the context of religious belief they say that faith is antithetical to reason. They are missing the boat, in this definition we see that Jesus expected us to make a commitment, that is the essence of faith (from the last preceding quote). The basic skeptical position is hardness of heart, refusal to accept immediacy of God's saving power. (1) the Catholics did not say "boo faith we like reason." They said faith and reason are not enemies. Faith and reason work together. (2) the Prots did not say "reason is no good don't ever reason" they said human understanding can't equal the truth of God, faith is required for salvation so faith is over reason. (3) The Prots did something else interesting: they turned to empirical proof rather than logic as the exposition of reason. The Catholics like logic because they Aquinas and the logic of their God arguments. the Prots had God arguments too but they preferred their own empirical God arguments such as the design argument. The Protestants also used a form of Scholasiticm that was more rigorous than the Catholics version (and purposely so, to counter the Catholic intellectual heritage) but this went by the way side when they place all their epistemic eggs in the science basket. As a result seventeenth century Protestantism was instrumental in the rise of modern science. On the Catholic side Descartes made his name writing philosophy which was in direct response to the Church's request that the enter the battle on their side and help defeat the intellectual claims of the protestants. that is what produced the meditations. That whole period is known as "the skeptical crsis of early modern Europe." It was a major problem and created vast social upheaval and led to the rise of modern science as a means of checking reality. A major part of the struggle was over which to accept, tradition and authority or empirical proof. Tradition and authority were the answer of the faith camp. One might be tempted to think that this was the answer of the faith only camp but not so. It was the reason camp (Catholics) who construed tradition and authority extensions of reason. It was the faith only camp (Protestants) who developed empirical experimental methods as an extension of faith. Although a Catholic invented range and domane (Descartes) and a Catholic invented statistical probability. All of these things came out of this era and had some tangential connection to the skeptical crisis. When faith is invoked, you've admitted you've lost the rational argument and have retreated into the land of conjecture, speculation and maybe. Believers are not on the same intellectual plane. This is because he misconstrues faith as "being stupid and beilef without reason." Kierkegaard called faith "irrational" but he did not mean by that blind stupidity crashing around and accepting stupid things. He meant an existential encounter, first hand face to face experience of truth. For him logic was hypothetical, only on the pages of books. He wanted engagement with God! Faith is a free-for-all. If one faith claim is accepted, any other faith claim can be "true" as well. All it takes is "belief". How egalitarian! Everything is as good as everything else with no standard used to make these world views held to account. Ah, but there is a standard, isn't there. It's called results. (1) On the one hand, there is the personal existential aspect of faith. This is what people are seeing when they give that most annoying of answers: "it's truth for you." This is the kind of relativism that makes fundies cringe. But I have to admit I do my cringing too when I hear it, even though I think I have a handle on it. This is not saying that truth very from one person to another, although some who use that phrase, I can't help but feel really think that. It means that since we don't understand truth exhaustively the existential commitment is what I recognize immediately as truth, even though ti's really just similitude. This is an aspect of my understanding that is standing in for truth since our understanding of truth is limited. It's personal commitment, that is it my on self defining moment that clarifies for me what I'm willing to faithful to as a sense of ideal and idea. It's a way of saying "I am willing to keep my commitments, as long as I understand truth this way I will treat this as truth." This is the nature of the case an needs must be, because your understanding of God is pathetic. We can't possibly stack up to the reality of God, it's too overwhelming. Everything we know of God has to be metaphor because we just handle the way God really is. It's beyond words and thus beyond anything we know. (2) the use of logic. On the other hand, at the other end of the pole is the use of logic to understand. We can sort our competing truth claims by the use of logic. The atheist bromide that faith is anti ethical to logic is simply wrong. Logic is the standard we can use to sort out competing truth claims, even if they are the result of this other pole of personal existential commitment to perceived truth. How can these two co-exist without contradicting? Logic is also a personal commitment. It is an objective truth finding mechanism but we are not objective creatures. We cannot be objective. Objective truth exists "out there" but we just can't understand it exhaustively. For this reason we must hold our logical conclusions as personal existential commitments so we don't' impose them harshly upon others, but we can live by them ourselves. We tend to think of epistemology as fashioned by Descartes. the rationalist constructs a neat little system for obtaining certain knowledge. At the time that Descartes came up with the cogito Europe was embroiled in a crisis of skepticism. The Skeptics weren't just anti-religious, though, they were Calvinists! The Calvinists challenged church authority, and the church was the gate keeper of knowledge. So Descartes' system was aimed at wrecking the arguments of the Calvinists, who despised reason and militated for faith as the ulimate route to knowledge. I speak of course of Heigeggerian epistemology. 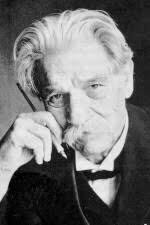 That is a very appropriate juncture for a Christian to move into thinking about epistemology, since Heidegger was influenced by two major Christian thinkers, in the liberal tradition; the 'father' of modern liberal theology, Schleiermacher, and the "father" of modern existentialism, Keirkegaard. Both were devout Christians. This phenomenological perspective runs parell to the perspective of mystical religious experience, which is the most sure fire safe guard on faith of which I know. That means in practicle terms experiencing the presence of God rather than insisting through rationalistic means that God exists and God is thus and so. One experiences God and then comes to an understanding of the nature of God. Now I'm not saying that this can be a total epistemology in and of itself. We also have empirical knowledge and revelation. But you know my view on revelation of the Bible, that is a recored f people's experiences of god; that is very phenomenological. rather than be dictated their theological tenets, they recored their expediences and that becomes the tenet as the community compares it to its own experiences; the dialectical presence model of inspiration that Barth and others spoke of. When I first got saved mother Teresa won the Nobel Prize having been brought before the public by Malcolm Muggeririge's book Something Beautiful for God. 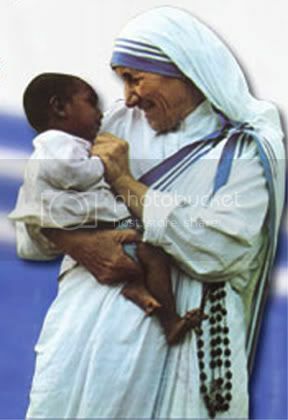 I immediately was inspired by the book and by the image of Mother Teresa. <So Mather T had doubts? Since the papers have been published atheists all over the net have been buy making denuding saints and debunking perfection while they can. Two major versions of this argument are common. (1) Religion must be a like if the most religious people have doubts. (2) Christians can't say atheists have no morals, because mother Teresa counts as an atheist and she's the most moral Christian. Of course the first argument is just childish gainsaying. I wont even dignify it. Of course people have doubts. Mother T was a human and humans doubt. It's stupid to think they wouldn't. I do have a couple of conversations about it. First, I think for me the most disappointing thing is that this woman whom I admired and thought of so highly was in an agonizing existence as she struggled with her faith. It makes me feel bad for her. I hope she found resolutions. Now does this shake my faith? No not at all.In a sense it's kind of a relief. 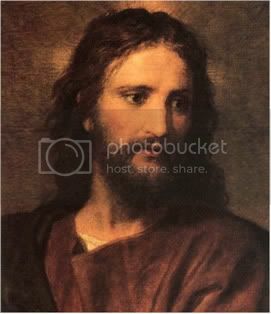 If the greatest example of Christian sacrifice in modern times can have agonizing doubt then my own doubt is not so bad. I am not a spiritual failure just because I doubt. Because look at how the most spiritual person doubts! Moreover, her doubts and her agonizing were relay indicative of a very spiritual person, a person of faith. Her doubt was not real doubt. I'm sure it was doubt but it was not skepticism. She was not an atheist she was not poised to become an atheist. Mother T expressed doubts of the sort expressed by people who believe deeply when their belief is shaken, not skeptical doubt that seeks to tear down the belief of others. This is typified by her longing for God. "where is God how I long for God" these are the kind of things people say when they want more religious experience, not the sort of things people say when they are ready to throw out religion form their lives. That she thougth she was a hypocrite is typical of saints. Saints care. They strive to be perfect and often fail because the are human. The things she says sound just like ST. John of the Cross in the dark night of the soul. Mother Teresa, who worked for years among the poor of Calcutta, wrote in 1958: "My smile is a great cloak that hides a multitude of pains." Because she was "forever smiling", people thought "my faith, my hope and my love are overflowing and that my intimacy with God and union with his will fill my heart. If only they knew . . ."
Mother Teresa, who was greatly admired by Diana, Princess of Wales, said in another letter: "The damned of Hell suffer eternal punishment because they experiment with the loss of God. "In my own soul, I feel the terrible pain of this loss. I feel that God does not want me, that God is not God and that he does not really exist." Il Messeggero, Rome's popular daily newspaper, said: "The real Mother Teresa was one who for one year had visions and who for the next 50 had doubts - up until her death." Her years of doubt coincided with the period when, after having visions, she decided to leave her teaching post at a privileged Calcutta school to help India's poor. Real atheists don't talk about how they long for union with God. This is the plaintive cry of a mystic who has deeply imbibed of the Spirit and wants more. This is a true dark night of the soul. That does not make one a hypocrite or a skeptic it makes one a mystic and a saint. As for argument 2, about atheist ethics. Anyone rash enough to say that atheists have no morals needs to know something about ethics, and about atheists. Of course atheists have morals, and them because God put them there. That is really a terrible argument. We need to expunge that from the Christian arsenal immediately. We should only argue in terms of the need to ground ethical axioms not the ethical nature of the opposition or lack of same. That really just becomes ad hom argument. Jesus Christ and The Importance of Historicity. "Topos" is a Greek word that means "location" or "seat." Where is the location of historicity? What is the exact point at which one can say "this is historicity?" 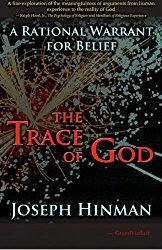 But there is a more fundamental question implied in finding the topos of historicity, and that is "what is the crucial point at which historicity takes on theological meaning?What aspects of being historical are so crucial that, if other wise proven to be not historical, the Christian faith would crumble? Consider the case of Josephus. Most atheists assume that Josephus is an authority to be trusted and few people anywhere would assert that he didn't exist. This is because we have no reason to suspect that he didn't, and he is our basis for knowledge of about 80% of what happened in the first century. But one could argue that Josephus didn't exist, or that most of his writings were made up. Using the same criteria that Christ myther's use for deciding that Christ didn't exist or that 90% of what is reported about him was made up, one can make the same kinds of arguments. First, Josephus' writings must have been controlled by Christians from an early period because we have no texts with totally lack the bits about Jesus. If that was made up then certainly Jo's works were controlled by Christians from the earliest times. Now secondly, Josephus gets wrong the year that the Roman legions of Vespasian left Palestine, but Jo was there so how could he get that wrong? It must be that his works are made up! The whole of Josephus works were made up to advocate the Jewish-Christian cause and that explains the passage where he says he got his friend off the cross before sunset, that was put in there to show that Joseph of Aramethia could do the same with the body of Jesus. Why else does he use the name Jospeh so much like the name Josephus? Of course I'm being sarcastic. None of these arguments hold water and no historian would accept them, but they cannot be disproved! It's just that historians don't waste their time with BS conspiracy theories or silly assertions. It is also the case that since Josephus forms the bulwark of our knowledge about that period, historians are not eager to lose his testimony. The point is that the same criteria could be used to dislodge Josephus as have been advocated to dislodge the New Testament (minus the textual proof of redaction, but there some evidence of redaction in some of Josephus, consider the Slavic and Arabic manuscripts)! "The name of infinite and inexhaustible depth and ground of our being is God. That depth is what the word God means. And if that word has not much meaning for you, translate it, and speak of the depths of your life, of the source of your being, of your ultimate concern, of what you take seriously without any reservation. Perhaps, in order to do so, you must forget everything traditional that you have learned about God, perhaps even that word itself. For if you know that God means depth, you know much about Him. You cannot then call yourself an atheist or unbeliever. 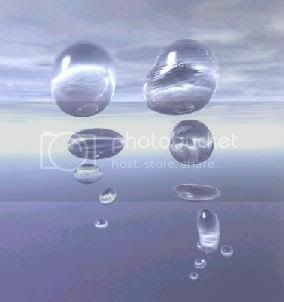 For you cannot think or say: Life has no depth! Life itself is shallow. Being itself is surface only. If you could say this in complete seriousness, you would be an atheist; but otherwise you are not." I love this quote by Tillich. In a nutshell it says "if you understand that being has depth then you can't be an atheist." "the name of the depth and ground of being is God." So God is the ground of being. Steady readers have seen me make this claim over and over again. But here ground of being is linked with something referred to as "depth of our being." So to understand the ground of being is to understand that being has depth. "speak of the depths of life of the source of being." So depth of our being has to do with the source of Being, which is the same as 'ground of being." All three are the same or related, ground, depth, and source. It makes sense to say that God is the ground of being and the source of being. They mean the same thing. But depth what does that mean? Is depth source? For if you know that God means depth, you know much about Him. God means depth? So what it means to say being has depth is to say there is a God. God = depth. That would be the case if depth also = ground and source. You cannot then call yourself an atheist or unbeliever. For you cannot think or say: Life has no depth! Life itself is shallow. Being itself is surface only. Here he's loading more into the term "depth" than just source because he's saying it is something more than just the fact of existing. It's more than just the source of being its also that being is more than just the fact of existence. Being is more than it seems on the surface. that's what he says isn't it? It seems to me that Tillich is guilty of a kind of circular reasoning here. We know God exists if we know God exists. We know there's a God if we know that being has more to it than just the fact of existing, what that more is is God. So we know God exists if we know God exists. Well Tillich didn't like God arguments, I can see why. Given that Tillich is not making a God argument, granted but there still must be some linear direction for this thinking to take. I think he is saying we know there's a God when we find that being is more than just the source level facts of existence. Just the act of realizing this is to realize the existence of God, for God is the source of being and that gives us the understanding of what depth of being is. The depth of being is it's relation to its source and the relation of all manifestations of being to the source. Just to under that there is more to things than there appear on the surface, is to understand there there is a source of being that transcends the mundane. This realization is captured in the feeling of utter dependence. To my knowledge Tillich did not speak of the feeling, except in his lectures on History of Christian thought (edited by Karl Braaton) where he speaks of Schleiermacher. But the two are clearly linked. Both are realizations of God's reality through understanding the correlate of divine presence in it's effect upon us. Are these the same or two separate pathways to understanding God's reality? "It is the original pre-theoretical consciousness...Schleiermacher believes that theoretical cognition is founded upon pre-theoretical inter subjective cognition and its life world. The latter cannot be dismissed as non-cognative for if the life world praxis is non-cognitive and invalid so is theoretical cognition..S...contends that belief in God is pre-theoretical, it is not the result of proofs and demonstration, but is conditioned solely by the modification of feeling of utter dependence. Belief in God is not acquired through intellectual acts of which the traditional proofs are examples, but rather from the thing itself, the object of religious experience..If as S...says God is given to feeling in an original way this means that the feeling of utter dependence is in some sense an apparition of divine being and reality. This is not meant as an appeal to revelation but rather as a naturalistic eidetic"] or a priori. The feeling of utter dependence is structured by a correlation with its whence." , Schleiermacher the Theologian, p 4. This quotation is saying that the true basis of belief is not logic or demonstration but the actual experience of the divine itself. But we cannot speak of the divine, yet we can speak of the correlate, the thing that is always found in relation to the divine the foot print in the snow so to say. This is the Derridian "trace" of God in the universe. "pre-theoretical" means the experience is prior to anything we think about it, it's not the result of theorizing about any constituent experience. "intersubjective" means it's subjective but others are experiencing similar subjective things. This statement says that one might be tempted to dismiss this experience as non cognitive, or something that can't be considered cognitively such as a mood or disposition, but if this is the case then we can also dismiss all experience of our life world.Schleiermacher is saying that belief is predicated upon the experience of the feeling of utter dependence, which is a valid correlate of the experience of God. Belief is not the result of Intellectual demonstration or arguments. Does this mean that to turn the feeling into an "argument" is to destroy it or dismiss it? I think it would be a mistake to try and offer the feeling as demonstration of something in an empirical sense. It is certainly a rational warrant for belief. Since that is the standard of my decision making paradigm, it can be offered as such. S...says God is given to feeling in an original way this means that the feeling of utter dependence is in some sense an apparition of divine being and reality. This is not meant as an appeal to revelation but rather as a naturalistic eidetic"] or a priori. "offered in an original way" I take to be something like properly basic. The feeling is its own unique experience and connotes what might be logically taken for indication of a correlate to some co-determinate. It's a sign, the trace of God in the universe. But its not a revelation of God, it must be taken as an a priori, like my argument the religious a priori; religion is its own unique discipline not a dumed down version of science or ethics. It has to be taken on its own terms.This is what is meant by William's phrase: "the feeling of utter dependence is structured by a correlation with its whence." Just like the cause of the footprint in the snow is the thing that made the print, so the occasion for the feeling is predicated upon the thing the feeling is about. In other words, the content of religious experiences is religious, we can take that as experience of God. Tillich bases the notion of being having depth upon our realization of the object of our ultimate concerns. God is that object since God is the final and ultimate embodiment of those concerns. Obviously these are the related areas. They both involve realizations of the same things, although to realize being has depth one need not necessarily express that in terms of utter dependence. But the feeling of UD is basically a realization that we are contingent creatures. To realize that being has depth one must realize that there is an aspect of being that warrants attention in a special way, that deserves to be set apart form the typical sense of the mundane. But there may be two different paths to the same realization; UD seems to be at a more removed level. One becomes cognizant of contingency, then one must realize that one is contingent upon something, and also that all things are contingent upon that same thing (unity in the world--the contingency is upon the same predicate which is what produced unity in the life world). My arguments for God are not offered as proof. There are times that I get carried away by statments atheists make and assert that they are proof. I think a couple of them might be, but not of the time--when I'm rational--I argue them as "rational warrant for belief" only. I really think the idea of demanding proof of the existence of God is silly, wrong headed and would require a sacrifice of the intellect. The Atheist dictum "you can't believe something without evidence" is not only wrong, it's asking one to abandon a deeper view of reality in favor of a shallow "quick fix" which would automatically bias the observer against understanding. This is so because religion is not failed privative science. It is not watered down ethics, nor is it an off brand of epistemology with pointed hats and tasteless cookies. Religion is an attempt to resolve the human problematic. It is its own thing. It's not unreduced to other forms of discourse, it's a priori it's own. religion doesn't necessarily require a god, but for those that have a view of God it is not a matter of proving an empirical bit of knowledge about the world. God is not a "thing" or a person or a man. God is not another thing alongside things in creation. The whole point of calling God "being itself" is to get across the idea that Gos is on another level, set apart from "things" not to be counted as "just another bit of info." God is not given in sense data, thus is not an empirical question. God is an existential question and is not a matter of proof. ordinary attempts at validation don't apply. God is a matter of personal conviction, that's all nothing more nothing less. to treat God as a thing to be proven like something one can study through sense data is to degrade the concept of God and to accept a view dinegrated and reduced from the full philosophical framework. The real question is not "prove there's a God" but "why do you believe?" Answering that question does not require proof. which god is it? is not an intelligent question. But which tradition best mediates transformative power, that's the question! The Feeling of Utter Dependence. (3) Cannot be accounted for by altenate causality or other means. 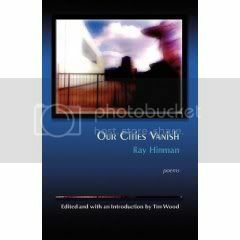 (2) The over all sense of unity produces a sense of the dependence of the whole upon a higher ontological level. (3) The content of the experience is expressly sublime and evokes the sense of the numinous. (4)The sense of the numinous is expressly religious and constitutes the co-determinate of the divine. A.Religion not Reduceable to Knowledge or Ethics. Frederich Shcleiermacher, (1768-1834) in On Religion: Speeches to it's Cultured Dispisers, and The Christian Faith .sets forth the view that religion is not reduceable to kowledge or ethical systems. It is primarily a phenomenological apprehension of God consciousness through means of religious affections. Affections is a term not used much anymore, and it is easily confused with mere emotion. Sometimes Schleiermacher is understood as saying that "I become emotional when I pay and thus there must be an object of my emotional feelings." Though he does venture close to this position in one form of the argument, this is not exactly what he's saying. What is this feeling of utter dependence? It is the sense of the unity in the life world and it's greater reliance upon a higher reality. 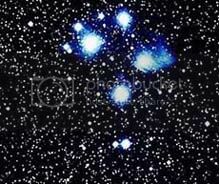 It is not to be confused with the stary sky at night in the desert feeling, but is akin to it. I like to think about the feeling of being in my backyard late on a summer night, listening to the sounds of the freeway dying out and realizing a certain harmony in the life world and the sense that all of this exists because it stems form a higher thing. There is more to it than that but I don't have time to go into it. That's just a short hand for those of us to whom this is a new concept to get some sort of handle on it. Nor does "feeling" here mean "emotion" but it is connected to the religious affections. In the early version S. thought it was a correlate between the religious affections and God; God must be there because I can feel love for him when I pray to him. But that's not what it's saying in the better version. The basic assumptions Schleiermacher is making are Plaontic. He believes that the feeling of utter dependence is the backdrop, the pre-given, pre-cognitive notion behind the ontological argument. IN other words, what Anselm tried to capture in his logical argument is felt by everyone, if they were honest, in a pre-cognitive way. In other words, before one thinks about it, it is this "feeling" of utter dependence. After one thinks it out and makes it into a logical argument it is the ontological argument. C.Unity in the Life world. "Life world," or Labeinswelt is a term used in German philosophy. It implies the world of one's culturally constructed life, the "world" we 'live in.' Life as we experience it on a daily basis. The unity one senses in the life world is intuitive and unites the experiences and aspirations of the individual in a sense of integration and belonging in in the world. As Heidegger says "a being in the world." Schleiermacher is saying that there is a special intuitive sense that everyone can grasp of this whole, this unity, being bound up with a higher relatively, being dependent upon a higher unity. In other words, the "feeling" can be understood as an intuitive sense of "radical contingency" (int he sense of the above ontological arguments). Now dont' think by any stretch of the imagination that I think this proves the existence of God! No, no way. It is not "proof," it is freedom from the need to prove!